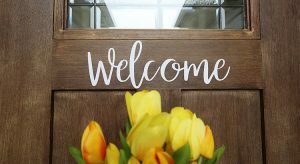 Home » 5 Reasons To Sell Your House This Spring! Today’s competitive environment has forced buyers to do all they can to stand out from the crowd, including getting pre-approved for their mortgage financing. Buyers know exactly what they can afford before home shopping. This makes the entire selling process much faster and simpler. According to Ellie Mae’s latest Origination Insights Report, the time to close a loan has dropped to 47 days, and in the Bay Area the average is closer to 30 days. If you are considering selling your property this spring, contact us for a complimentary price evaluation and strategic analysis. If you’re considering selling a property this spring, contact us for a complimentary price evaluation and strategic analysis.